Bat guano is harvested from bat-inhabited caves and dried into powder form. It is sold commercially as a high-quality plant food that can be used alone or as part of a fertilizer mixture. Bat guano is high in the essential plant nutrients nitrogen and phosphorus. As home gardeners transfer to the use of organic fertilizers, sources high in nitrogen are valuable. Synthetic nitrogen is the main component of chemical fertilizers--it has been found to be a major contributing factor in global pollution problems. Bat guano can be purchased as an additive and used in home composting to create nutrient-rich compost. Spread a 3- to 4-inch layer of dry leaves, straw or shredded newspaper on the bottom of the compost bin. Add water until thoroughly moistened but not soaking wet. These are called “browns”--they are carbon-rich materials. Add a layer of green materials, such as kitchen scraps or grass clippings. “Greens” are nitrogen-rich materials that help activate the decay process. Sprinkle one handful of bat guano over the top of the green layer. The high level of nitrogen inoculates the decay process further. 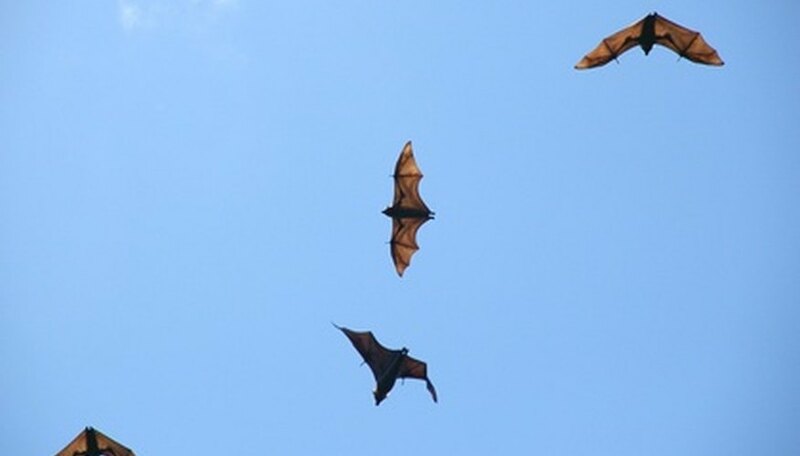 Bat guano is considered a green material. Water thoroughly but do not soak. The water and oxygen complete the necessary elements to decompose the materials. The simple recipe for successful compost is "browns, greens, water and air." Repeat layering until bin is full. Stir or lift the materials occasionally to allow in oxygen. Compost is dark brown or black and crumbly when finished in three to six months. Bat guano can also be used alone as a fertilizer tea to boost microbial activity in the soil. Use bat guano as a foliar spray to increase disease resistance in plants. Domesticated fowl excrement is considered manure rather than guano and is not an approved ingredient in organic fertilizers .